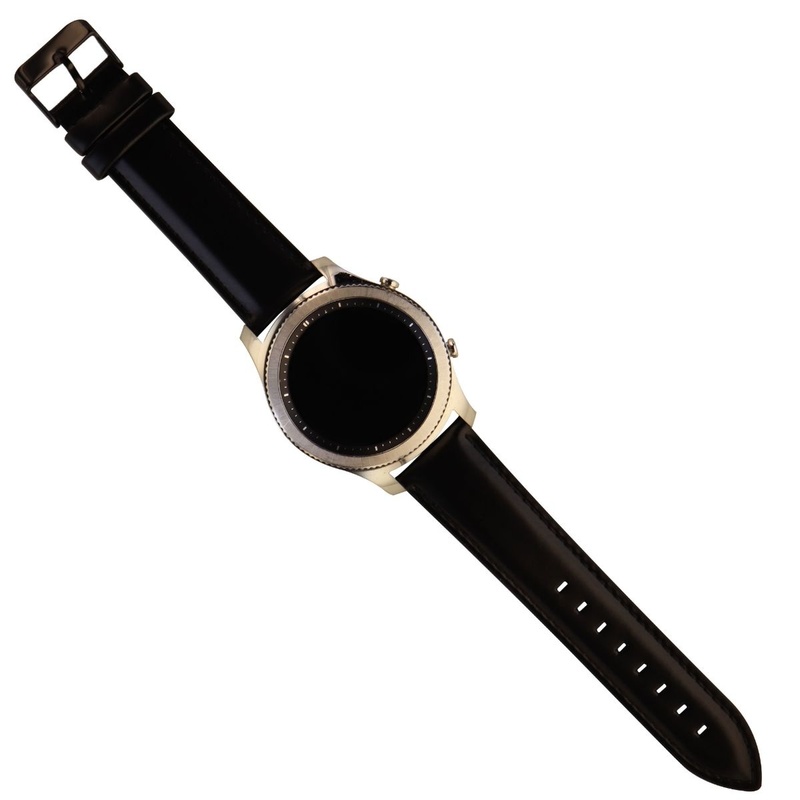 A Samsung Gear S3 Classic Smartwatch. Model: (SM-R770) (Wi-Fi Only Version). 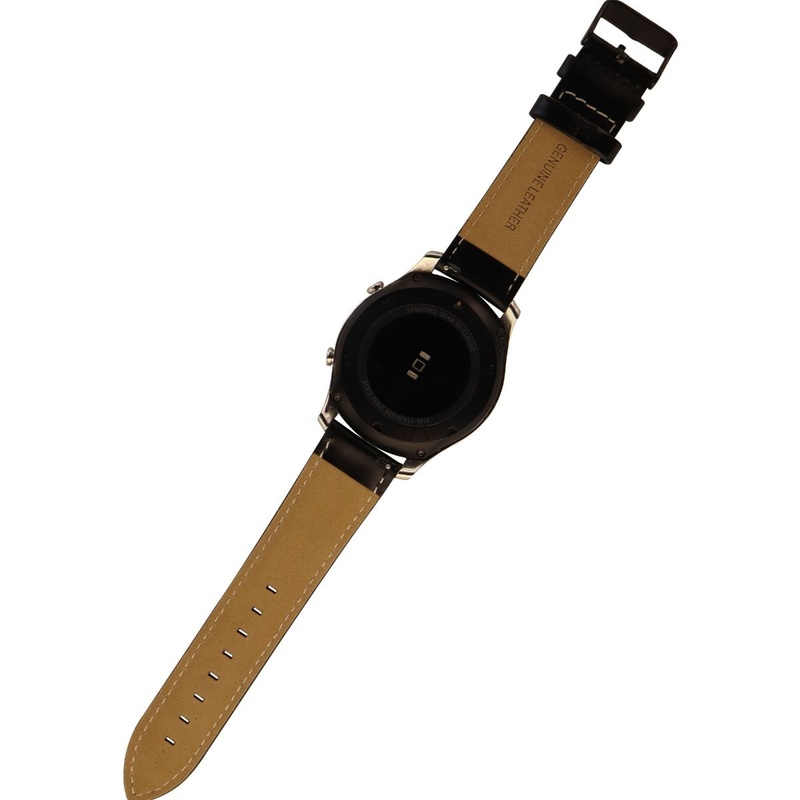 Silver watch with One Size Black Generic Leather Band & Generic Dock Charger (Comparable to OEM). - A distinctive steel bezel that you can rotate to access apps and notifications. - Battery Size: 380 mAh Li-ion. Typical Usage-up to 3 days. Charging Method: Wireless Charging Dock. - Text, call and get notifications directly from your watch through your Bluetooth connected smartwatch. - Make payments with Samsung Pay almost anywhere you swipe or tap a credit card. - With military-grade performance, the Gear S3 resists water, dust, extreme temperatures and the occasional drop. - Compatible with Android and iOS smartphones (compatible with select Bluetooth capable smartphones using Android OS 4.4 and later with at least 1.5GB RAM as well as iPhone 5 and later with iOS 9.0 and above. Refer user manual for troubleshooting instructions. Not all features available with iOS paired smartphones.